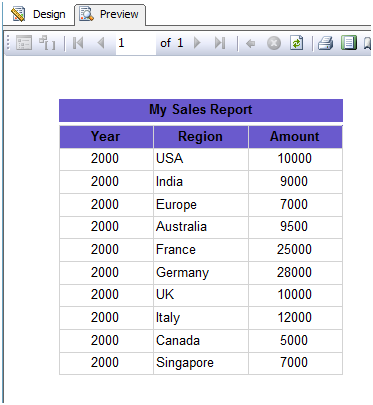 The purpose of this article is to provide a way to display column headers on each and every page of the report. 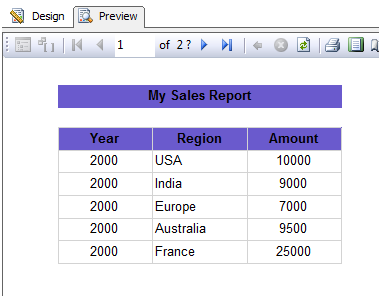 By using the page break feature of SSRS, we can show the report in no. of pages in place of having same report in single page. Page break is very useful with bulky report where large no. of records need to be shown. Page beak helps us to set pagination but it does not ensure that column headers for the report should come on each page of the report. A report without column headers in all the pages may create lot of confusion to the users. 2. How to display column headers on each page of the report? 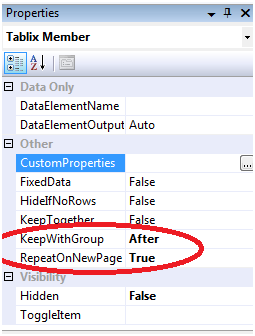 We can achieve it by using the “KeepwithGroup” & “RepeatOnNewPage” properties of the grouping pane. II. Once you click on the “Advance Mode”, we can see the static members for rows & columns within grouping pane. By using advance mode properties of Grouping pane e.g . “KeepwithGroup” and “RepeatOnNewPage”, we can display column headers on each page of the report. how to Show when use group and page break after group ?